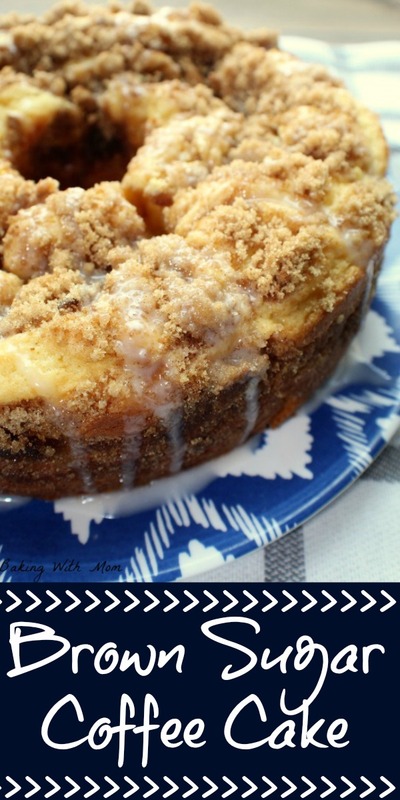 When the mornings can be lazy, this brown sugar coffee cake is a great addition to your breakfast menu. It starts with a boxed cake mix which is a great little trick I love to have up my sleeve. 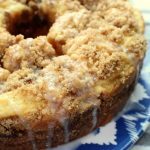 I make plenty of coffee cakes from scratch, that do not start with a cake mix like this blueberry coffee cake, or this apple coffee cake, but sometimes speed is imperative. It really is quite easy to make this breakfast/brunch favorite. All you need are a few ingredients and it does help to have a Kitchen Aid mixer or a hand mixer. I use my Kitchen Aid often and I feel it is worth the investment. 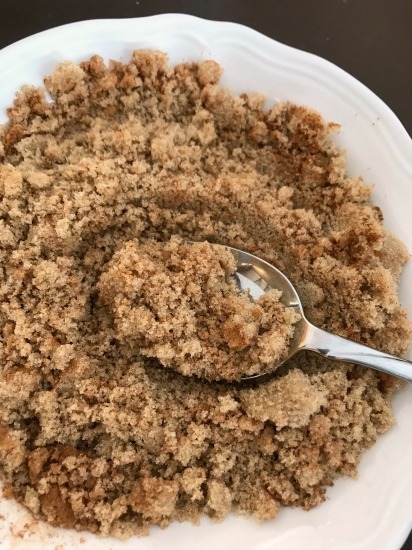 In a small bowl, mix together the brown sugar and cinnamon. Sprinkle on top of the dough in the pan. 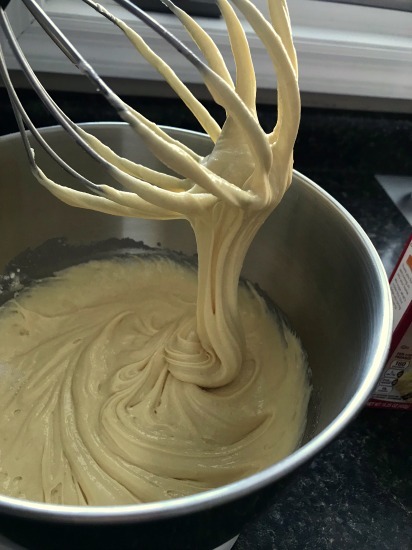 Take a knife and swirl the batter in the pan. Just swirl it, nothing too crazy. 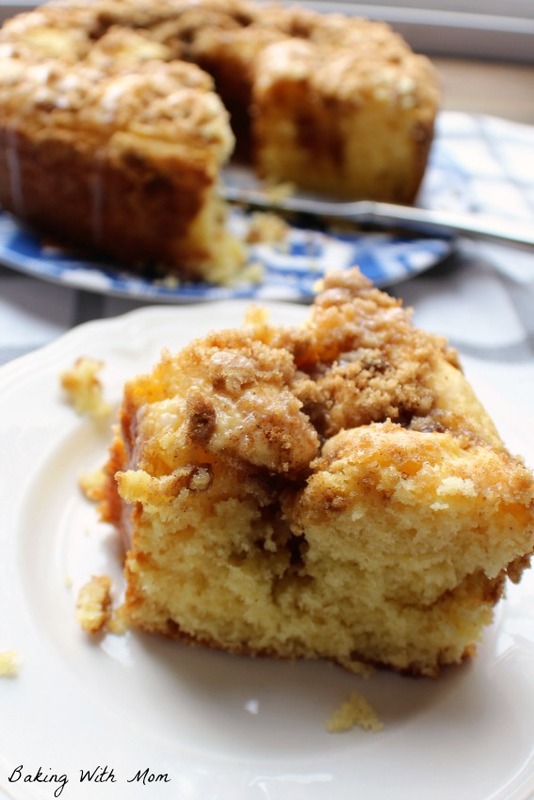 You will still have plenty of topping on top of the coffee cake. 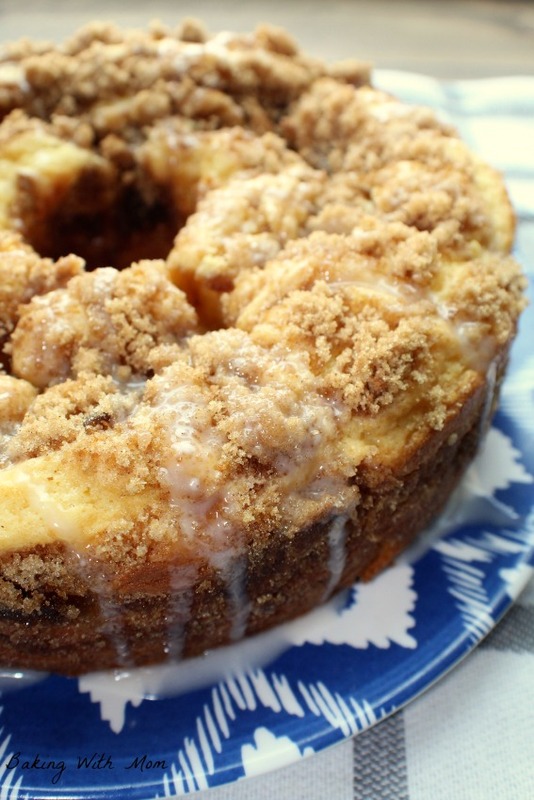 By swirling it, you help some of that brown sugar deliciousness to get on the inside of the coffee cake. Bake and you are done! Grease your pan well and when you take the brown sugar coffee cake out of the oven, use a knife to loosen the sides of the coffee cake. Don’t try to remove it from the pan yet. Let it sit on the counter for a few minutes. Few=10. You don’t have to drizzle frosting on top, but really, for the integrity of the cake, drizzle it. 😉 The frosting is only a two ingredient recipe so it is easy to put together. 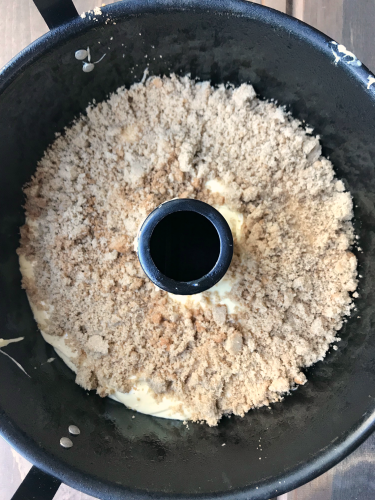 Brown Sugar Coffee Cake starts with a cake mix. Add brown sugar and cinnamon topping and you have a delicious and quick breakfast or brunch recipe. If you need to put the frosting on before it is cooled completely, you certainly can. It just might melt a little bit. Still tastes great.